Recently I had the opportunity to watch Stephen Colbert’s commencement speech to the graduating class of 2011 at Northwestern University. Though his speech was riddled with endless jokes about brothels, skipping class and our generation being inferior, the end of his speech moved me. There were a couple of thought-provoking takeaways that I would share with you. In improv, and in life, it should be about them, not us. But many of us have the perception that it should be about ME ME ME. We ask, “what can I get out of a particular situation?” We have become consumed in a culture of ME. If we surround ourselves with people who aren’t about ME, but WE, each of us gains an infinite amount of love, life and happiness. It all starts with realizing a WE over ME approach. We don’t know when a job offer is going to come our way, we don’t know the exact date the love of our life is going come in our life, we don’t know when a loved one will get cancer and we don’t where we will be living 20 years from now. As with improv, we often just make things up as we go along. So no more winning. No more one-upping one another. Reverse the focus of “ME ME ME” to “WE WE WE”. Serve others and love others, because hopefully you will find those who love and serve you in return. I find that especially fitting and true for the group of students that claim OPA as their acronym. Each summer, these students comprise the cluster of shining stars that brighten campus and the futures of new students arriving for summer orientation sessions running June 5 through July 21. Orientation Peer Assistants – OPAs – represent the team of outgoing, charismatic and energetic Minnesota State Mankato students assembled by Mel Iverson, assistant director of orientation, and the professional staff in the New Student and Family Programs office. These students serve as peer guides, mentors, and motivators as new students get a sampling of the college experience. Students interested in becoming OPAs may submit their applications until 4 p.m. Thursday, Jan. 30. So if you have that certain “joie de vivre,” a paid summer on campus spent sharing, helping and growing may be an application away. OPA! There will be a landmark anniversary observed this week. Saturday, Jan. 11, marks the 50th anniversary of the release of then U.S. Surgeon General Luther Terry’s report that linked smoking to illness and death. Despite the findings, warnings and proven outcomes, college-aged students still take up smoking. Statistics vary with one study published in the Journal of American Medical Association claiming 28 percent of U.S. college students are smoking. The number appears equal between men and women smoking cigarettes. Unfortunate, but not surprising, such statistics remain a sign of the times that has passed through generation after generation since cigarettes first gained social acceptance. What has evolved is a social cycle of naïve, bulletproof coolness that mostly targets the young. The sense of freedom that comes with college provides a prime testing ground for smoking. Like many, I had my first cigarette as a teenager. To me, it looked cool and felt daring. I can’t say I liked the taste. When I got to college, smoking remained a social thing although I did reason that it helped combat stress during long nights of studying. Fortunately, I never got hooked although I remained a social smoker until my first child was born. My smoking days ended with a New Year’s resolution that stuck. 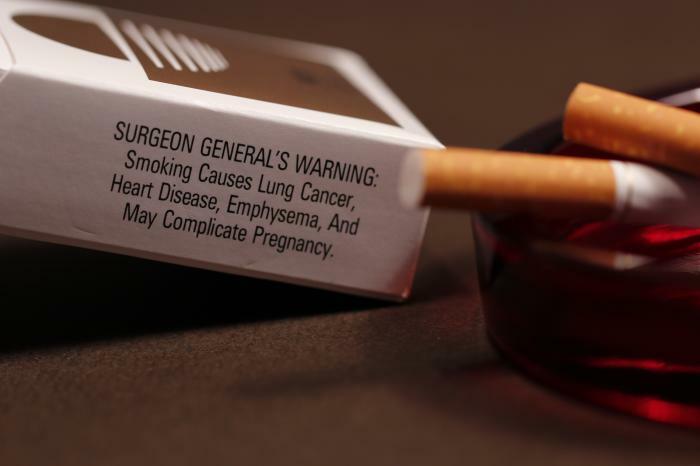 Many were not so lucky and now contend with an $8-a-pack addiction ($15 in New York) and health issues. While one University of Michigan study states that 5 percent of college students are daily cigarette users, it appears most college-age smokers continue to label themselves social smokers. Non-smoking measures such as smoke-free zones ranging from bars to entire campuses have deterred college smoking – particularly in Minnesota where satisfying the urge can mean standing outside in -25 degree weather. Now new “technology” is putting an untested twist on smoking – the e-cigarettes. These devices don’t burn tobacco, thus produce no second-hand smoke. Instead, a battery heats up a cartridge which releases a vapor of nicotine that the user inhales. The addictive vapors can be laced with flavors like chocolate, fruit, candy or even tobacco, thus causing 44 percent of parents to worry that e-cigarettes will encourage kids to use tobacco products, according to a University of Michigan study. The e-cigarette still contains addictive nicotine but it is too new to have many warnings or restrictions – but efforts are in the works.